Antonio Conte has a reputation for wearing out his players just as he has done at Chelsea FC, according to Serie A expert Gabriele Marcotti. The Blues won the Premier League title with two games to spare last season after the west London side finished seven points clear of their closest challengers Tottenham Hotspur. Chelsea FC missed out on the Premier League and FA Cup double following a 2-1 loss to Arsenal in the final at Wembley. 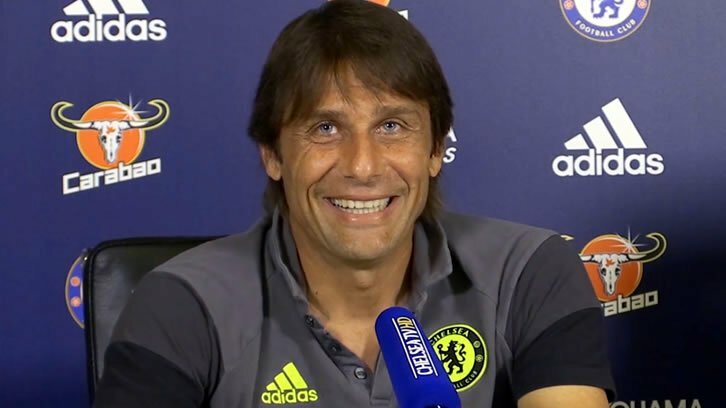 However, Conte was praised for his impact on Chelsea FC and the Premier League after he pioneered his successful 3-4-3 formation in their title-winning campaign. Chelsea FC have struggled to maintain their high levels this season despite adding 10 new players to their squad since their title success. Of course, the west London side made the surprise decision to offload Diego Costa and Nemanja Matic despite their vital role in their 2016-17 season. ESPN reporter Marcotti admitted that Conte has earned a reputation for tiring out his players at both Chelsea FC and Juventus. “He’s remembered, pretty much as he will be at Chelsea, somebody who’s hugely intense, who gets the fans on his side, who wins things, who tactically will throw people a curve-ball or a googly,” Marcotti is quoted as saying by ESPN. “But by the same token he wears his players out, I think maybe more so at Juve than Chelsea, because they had an older squad. Chelsea FC are in fifth place in the Premier League table and five points behind Tottenham Hotspur in the race to secure a Champions League spot. The Blues are in the FA Cup semi-finals and will take on Southampton.